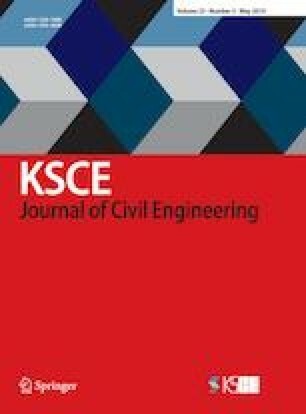 In this paper, a new type of shear wall, referred to as encased steel plate-reinforced gangue concrete composite shear wall, is proposed. To investigate the seismic performance of the shear wall, one of the specimens was subjected to monotonic loading, and the remaining 5 specimens were tested under reversed cyclic loading. The failure mode, hysteretic and skeleton curve, strength degeneration, stiffness degeneration, ductility and energy dissipation capacity of these specimens were compared and analyzed. In addition, finite element models were also established and verified using the test results. Furthermore, the effects of the height-to-width ratio and the axial compression ratio on the seismic behavior of the composite wall were explored. The experimental and numerical results indicate that the specimen has a large load-carrying capacity, excellent ductility and energy dissipation capacity, little strength degradation and minimal stiffness degradation. Moreover, the results also show that the method of welded stiffened short reinforcement on the surface of the steel plate can significantly improve the bond interaction between the steel plate and gangue concrete to maintain the overall work performance of gangue concrete and steel as well as the load bearing capacity of the specimen.